The first dessert cookbook from ADA - featuring 150 easy-to-use recipes. 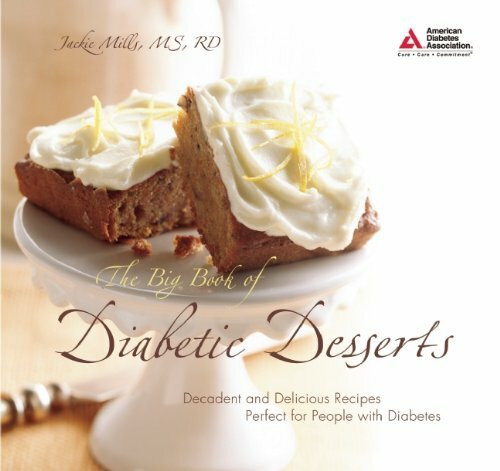 The Big Book of Diabetic Desserts, the first dessert cookbook ever published by the American Diabetes Association, features mouth-watering treats that will satisfy every sweet tooth - and without using substitutions or those odd ingredients that can make a dessert taste bitter. With over 150 recipes that cover everything from pies, tarts, cakes, and cookies to custards, mousses, cheesecakes, and frozen delights, this cookbook has every great dessert you will ever need. The Big Book of Diabetic Desserts also shows you how to bake with artificial sweeteners and keep your recipes low-calorie and luscious. Every recipe includes a special tip to help make each dessert delectable - and easy to make. Finally, a dessert cookbook for people with diabetes that actually has great-tasting recipes!